It’s been a long time since I posted anything here, so I thought I would share an update with you. I have been working on some new books. This time they are taking a different direction. They are still for children, but are breaking away from the wealth lessons theme. Shelly is an elephant with a plan. 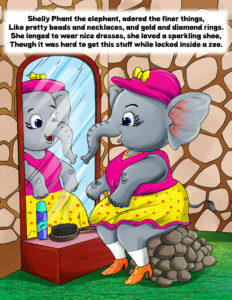 With the help of her friends, she wants to escape from the zoo to go shopping for a crown. Will she make it out? You can find out late February 2018 when the book will be released on Amazon. To find out about new releases you can follow me on my Amazon author page on the Amazon US or Amazon UK sites. 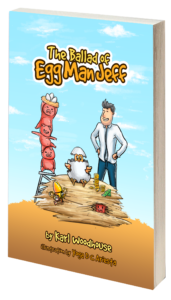 Did you know that you can download The Ballad of Egg Man Jeff for free? Simply pop across to my free book page and tell me where to send it.